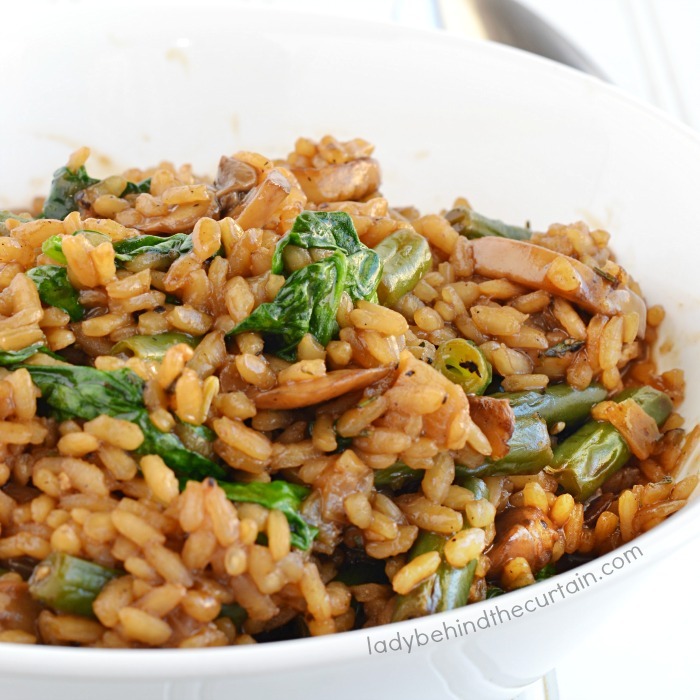 Marsala Risotto with Fresh Herbs | This rich and creamy risotto is full of deep delicious flavors. With ingredients like two kinds of stock (broth) and lots of fresh herbs this recipe will soon become a family favorite. The perfect side dish for a nice juicy steak. 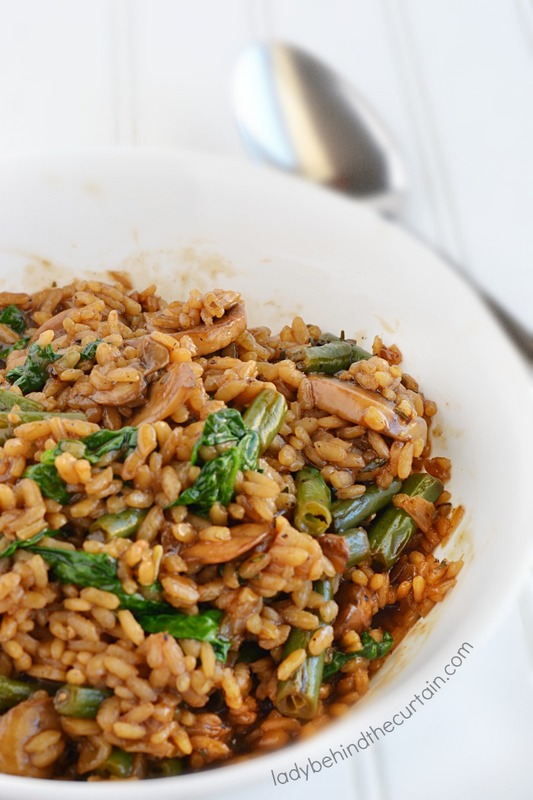 Don’t be afraid of making risotto…embrace it! Now you can bring a restaurant favorite into your kitchen! And….it’s super easy to make. Change up the holiday menu this year! Forget about the potatoes and serve Risotto instead. Or….use leftover steak! Cut the steak into thin strips, heat it in a dry hot skillet, add the hot steak to the risotto after the last addition of liquid. The perfect weekday meal. Most Risotto recipes call for white wine. If you would like to change it up a bit you can substitute some of the stock (broth) for white wine. The process for making risotto may seem like a lot but it really only takes as long as cooking regular long grain rice. The only difference is adding the liquid a little at a time and stirring to create a nice creamy texture. 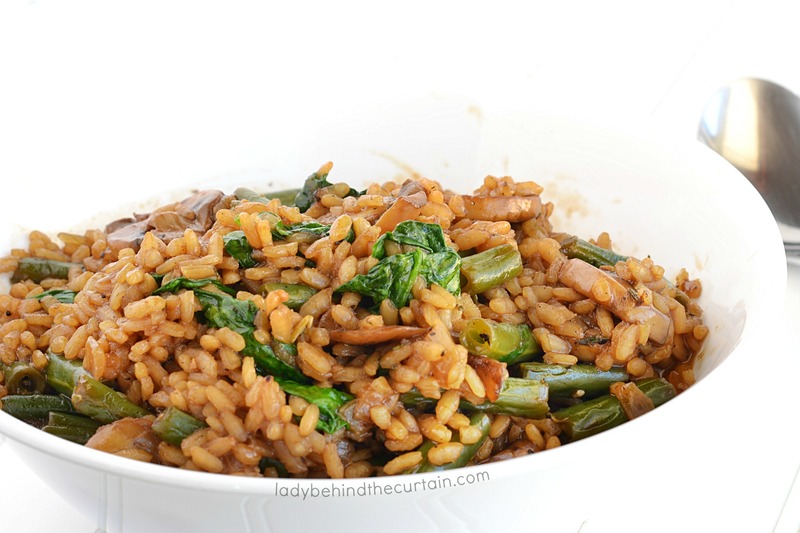 It’s a great way to change up the same old tired white rice side dish. Serve this delicious Marsala Risotto with Fresh Herbs along side a nice juicy piece of prime rib. 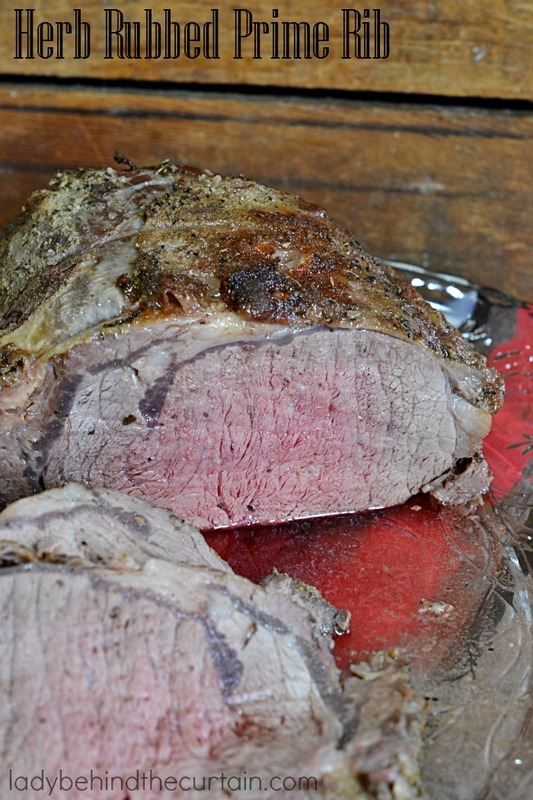 For the recipe click here—->>>>HERB RUBBED PRIME RIB. This juicy flavorful Prime Rib is for when you want to pull out all the stops and celebrate in style! If you served Turkey for Thanksgiving change it up for Christmas with beef! In a medium saucepan combine both the chicken and beef broths. Bring to a broil, turn down heat to a simmer. In a large saucepan heat oil, cook mushroom, onion and green beans until tender and lightly browned. Add rice, garlic, thyme and rosemary. Turn heat to medium high. Cook and stir for 2 to 3 minutes or until rice begins to brown. Add Marsala, cook and stir until Marsalla is absorbed. Add 1/2 cup of the broth to the rice mixture, stirring constantly. Continue to cook and stir over medium high heat until broth is absorbed. Add another 1/2 cup of broth to the rice mixture, repeat the process 1/2 cup at a time until all the broth has been added to the rice and is absorbed ( this should take about 20 to 25 minutes). Turn the heat off and stir in the spinach. Keep stirring until the spinach is wilted. 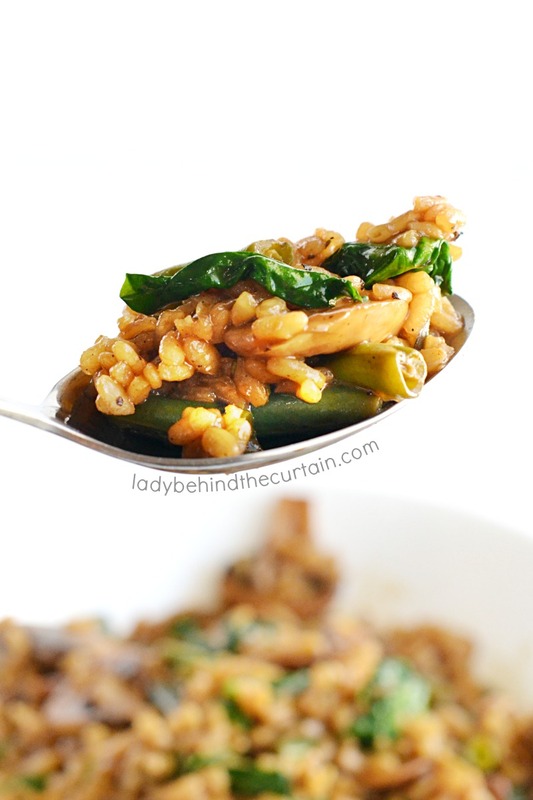 More Risotto recipe you might like. PARMESAN RISOTTO and INSTANT POT CHICKEN RISOTTO.